The 2018 Jeep Renegade is a stylish compact SUV packed full of attitude, features, and legendary Jeep capabilities. If you’re on the hunt for the perfect vehicle that can take on the streets of Hobbs NM in any condition, then the Renegade is perfect for you! Check out our inventory before heading to our Brownfield dealership for a test drive. What Features are on the 2018 Jeep Renegade? Interested in the 2018 Jeep renegade? 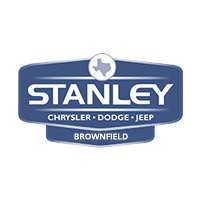 Get in touch with our sales professionals over at Stanley Chrysler Dodge Jeep Ram Brownfield to schedule a test drive, and discuss your lease and financing options!